Just in case you were wondering about the origins of the "Long Tan Trek" name... If you are looking for the REAL, ORIGINAL "Long Tan Trek" - you've found it. Dave, with Nui Dat hill in the background, explains the layout of the 1ATF base to the Long Tan Trek group. Oct '09. 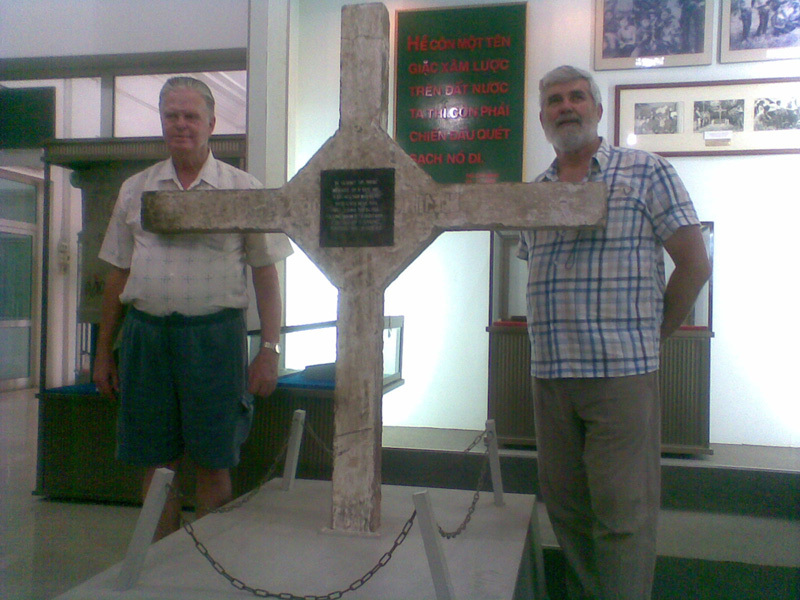 Henry Chisholm and Dave Sabben (both ex-6RAR) stand beside the original Long Tan Cross, now at the Dong Nai Museum. Oct '09. 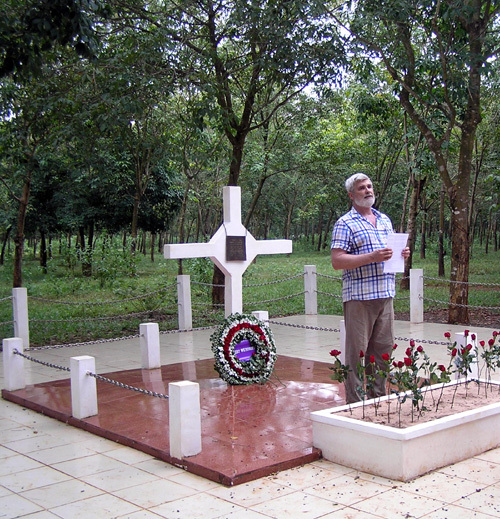 The History of the "Long Tan Trek"
In February 2006 Kerry Phelan and Charles Shaw travelled to Vietnam on an inspection tour for the charity Mivac. During the trip the Australian Task Force bases of Vung Tau and Nui Dat were visited, along with the Long Tan Cross, Long Phuoc, Long Hai region and the Long Hai Mountains. As a result Kerry Phelan and Charles Shaw decided it would be a positive exercise to re-trace the steps of D Company, 6RAR, on the 18th of August 1966, the Battle of Long Tan. 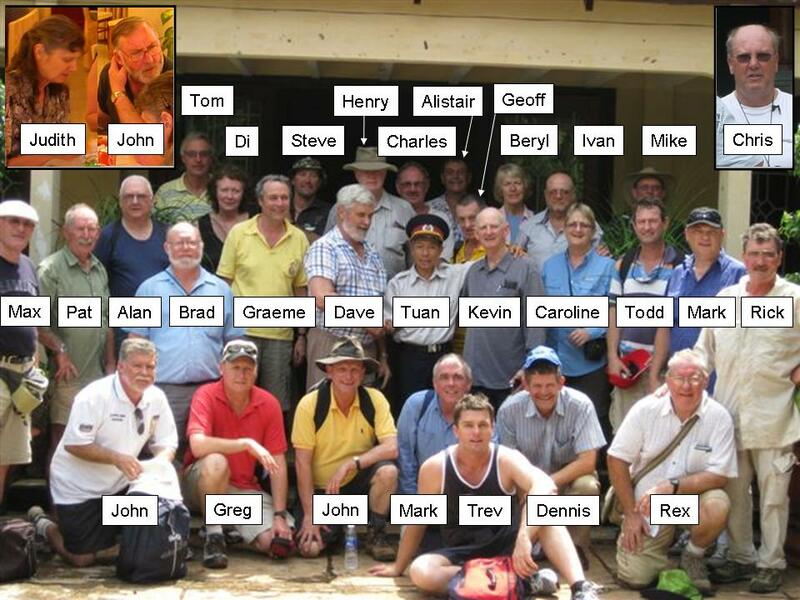 In August 2006 Kerry Phelan, Charles Shaw, John Sherman and Peter Thomson walked from Nui Dat to the Long Tan Cross, the first people to walk the track other than locals since the end of the Vietnam War. Thus the “Long Tan Trek” was born. The first group walked in February 2007, the 2nd group was in March 2008. 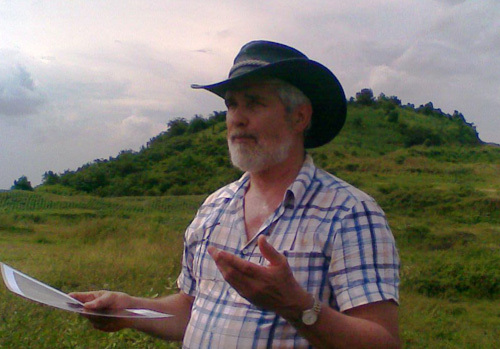 For the October 2009 "Long Tan Trek" we enlisted the services and expertise of the Battle of Long Tan veteran and platoon commander of 12 Platoon, 2Lt David Sabben MG (retired). The experience of having a participant from the Battle of Long Tan was mesmerising for all 30 participants in the group, 9 Vietnam Veterans included. To experience first hand an account of the Battle of Long Tan from one of the platoon commanders, is living history. ready to start the Trek to Long Tan. Oct 2009. The October, 2009 Long Tan Trek Tour group photo, taken at the Long Phuoc Tunnels.